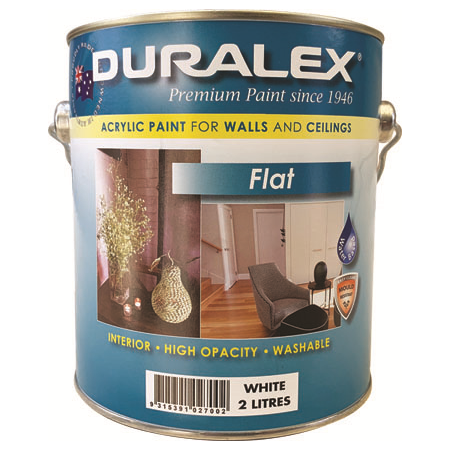 Premium Quality Flat, 100% Washable Acrylic, High Opacity House Paint. Duralex PREMIUM FLAT is a premium quality, washable, acrylic paint which dries to a flat finish on appropriate and properly prepared interior and exterior surfaces. 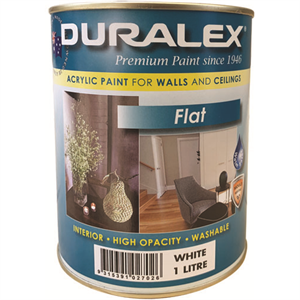 Ideally suited for walls and ceilings in kitchens, bathrooms, bedrooms, halls, etc, and on exterior masonry surfaces. 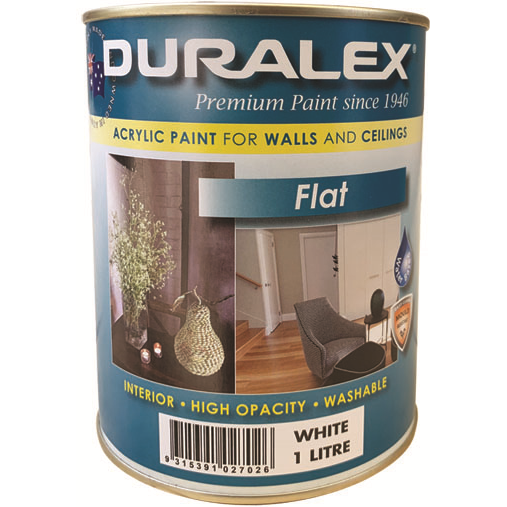 It is not recommended for use on exterior timber. Available in White, Black and Tint Bases which are compatible with all major tinting systems. Tinter, if added, should be shaken or stirred in thoroughly immediately after addition. 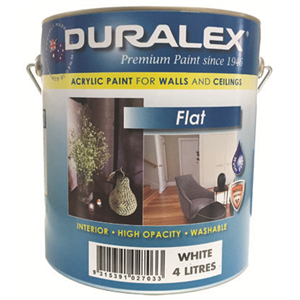 Coverage Up to 16m² per Litre per coat.